4 film's new project has been selected to participate in the prestigious International Financing Forum in Toronto. Now celebrating its 13th year, OMDC’s IFF has introduced hundreds of projects to the international marketplace with over 75 successfully financed to date. Criteria for participating in this event are extremely strict and this opportunity is provided to only a few producers from all over the world. This way, producers will meet with financiers, sales agents, distributors and executive producers for brokered meetings and exclusive networking opportunities. There are more than 30 high-level international industry executives that have registered to attend and take meetings with producers at the forum. Companies include Netflix, Film4, Magnolia Pictures, Protagonist Pictures, Universal Pictures International, among others. Director Ivona Juka and producer Anita Juka will have an opportunity to pitch them their newest feature fiction film „The Atmosphere“. 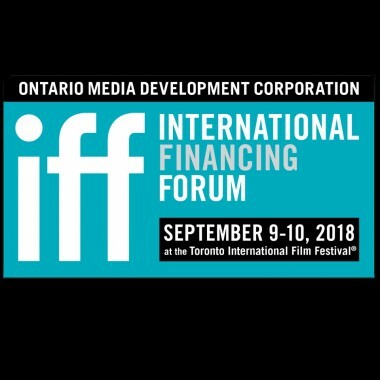 The OMDC’s International Financing Forum was founded by Telefilm Canada and the UK Department of International Trade, and sponsored by Entertainment Partners Canada/Canada Film Capital and the Canadian Media Producers Association.